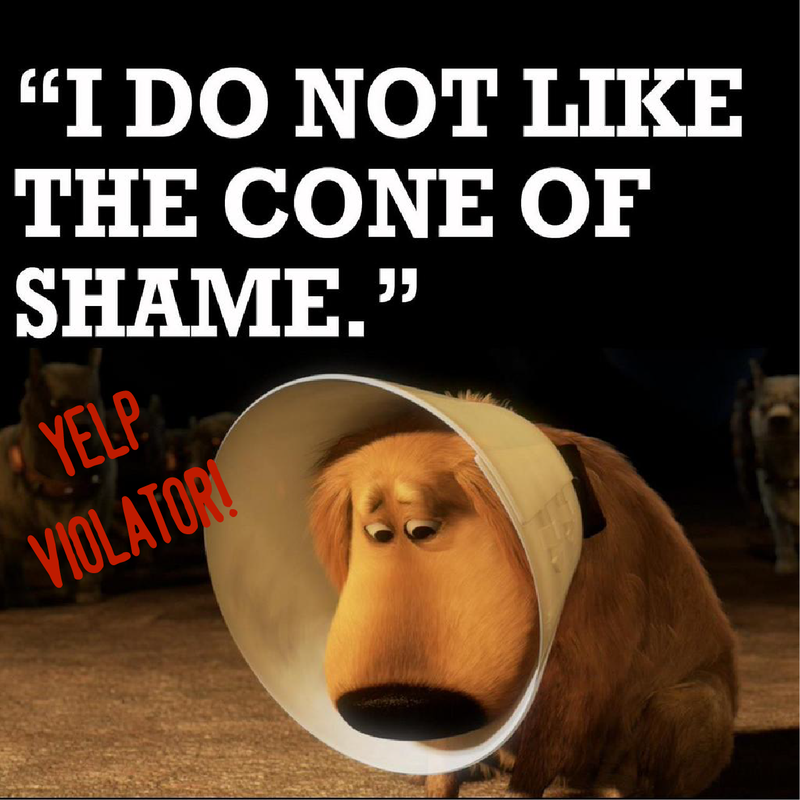 We’ve discussed this issue before, but in light of the recent crackdown on deceptive Internet reviews by New York regulators, I want to revisit the subject of astroturfing – the practice where business owners Fake Reviews on Yelp. As business owners, you know all too well the power of both positive and negative reviews. 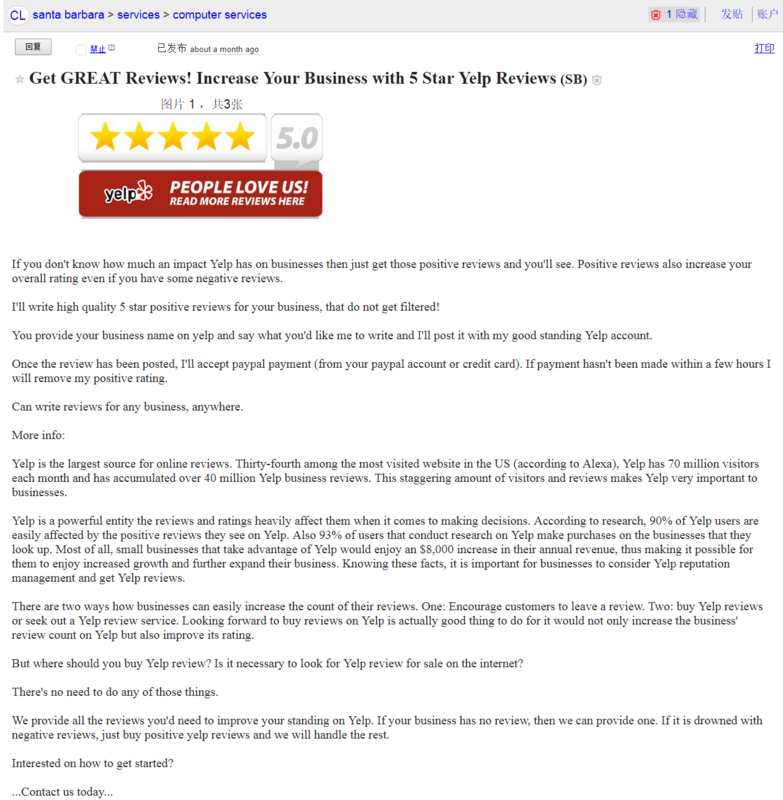 You know 4 and 5-star reviews will boost your business. Because of this, you may even have been tempted to pay for positive reviews to move up a few stars, which could translate into five, ten, maybe even fifty thousand dollars of new business. But, will this really help your business? Let’s discuss. A 2011 Harvard Business School study determined restaurants that increased their ranking on Yelp by one star raised their revenues by 5 to 9 percent. Another 2012 study estimated that one in seven recommendations or ratings on social media sites like Facebook would soon be fake. In some cases, all the reviews of a product have been bought and paid for by the seller. This is a huge issue. First, there are major ethical ramifications. Secondly, although you may initially benefit, in the long run, these negative reviews will catch up to you financially and even legally. If you entertain the notion that you will never get caught, think again. In New York, regulators announced the most comprehensive crackdown to date on deceptive reviews on the Internet. Nineteen companies have agreed to stop their misleading practices and pay a total of $350,000 in penalties. The investigation, which spanned 12 months, exposed companies that created fake reviews on sites like Google, Yelp, Citysearch, and Yahoo, as well as the local businesses who paid for them, including a charter bus operator, a teeth-whitening service, and a laser hair-removal chain, among others. Some reputation management (most scam artists) outfits even bribed their clients’ customers to write more phony reviews in exchange for $50 gift certificates. They also participated in a cover-up on review sites that criticized their own fake-review mills and wrote fake reviews denying they wrote fake reviews. Investigators working in the sting operation began by posing as the owner of a Brooklyn yogurt shop that sought to bolster their reputation after being victimized by unfair reviews. The investigation revealed that fabricated reviews were written locally and also by a network of writers in foreign countries for as little as a dollar each from persons that had never even visited the U.S.
Main Street Host, one of the 19 companies that signed an agreement to desist, “engaged in astroturfing on behalf of over 30 clients”. As noted before, buying fake Yelp reviews is illegal. Although the investigation targeted companies based in New York, it will have a much wider reach. 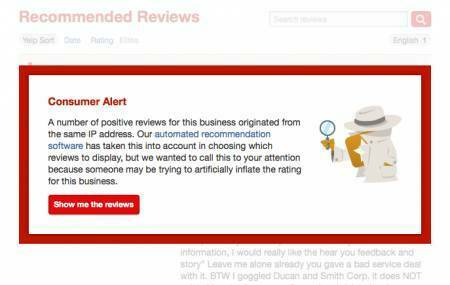 Yelp has stridently addressed the problem and recently sued a California law firm for writing fake reviews of itself. “Consumers rely on reviews from their peers to make daily purchasing decisions on anything from food and clothing to recreation and sightseeing,” Attorney General Schneiderman said. Embrace reviews. They can be quite beneficial to your business IF you don’t hide your head in the sand like an ostrich. First, we’ll discuss the benefits of reviews, then we’ll discuss how to handle them. There are companies that pay thousands of dollars for focus groups. You don’t need to do that. Yelp and all the other review websites are your very own focus group. Pay attention to reviews, pay attention to patterns in reviews. If you keep seeing the same issues come up on various reviews, then you need to address and fix them. By responding to reviews (both positive and negative) you show the community that you care about them and their opinion. When you get a bad review, don’t delete it or ignore it. Instead, respond to them. How do you respond? Acknowledge and offer a solution. For example, if a customer had trouble returning an item, thank them for bringing the issue to your attention, let them know you will look into the returns department to make sure things are working as they should and offer a resolution for their issue. Not only will you make that customer happy, but any potential customer that sees the response will also feel confident in doing business with you. Sounds crazy, I know…but people are wary of companies that only have good reviews. Every company gets one or two negatives. Those negatives make your business feel more real and bring out the positives. Sure, you want to track reviews on Review websites, but reviews also happen on social networks. To make sure that you don’t miss any of these, use a reputation management dashboard. They should bring all your web mentions onto one place so you miss nothing.